Franklin Brewing Company, Brooklyn N.Y. 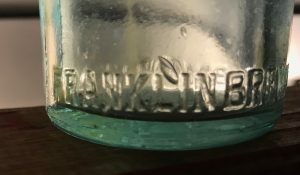 The Franklin Brewing Company was established in 1903 but in fact has it’s roots in the brewing operation of George Malcom whose brewing business dates back to the mid-1860’s. Malcom was first listed as a brewer located at the corner of Dean and Franklin Streets in Brooklyn. Around 1870 he moved to Flushing Avenue and established one of the largest breweries in Brooklyn at the time, occupying the entire block from Franklin Avenue to Skillman Street. Also referred to as the Wallabout Brewery, it was described in a September 19, 1871 item in the Brooklyn Daily Eagle. Wallabout Brewery, one of the largest establishments of the kind in the county, and said to be capable of turning out 500 barrels per diem. It occupies a fine brick building, 150 x 75 feet, and four stories in height. It is an immense concern, in every way well ordered, fitted with all the latest improvements and most modern inventions; employs a large number of men, and has involved an investment of not less, probably, than half a million of dollars of capital. 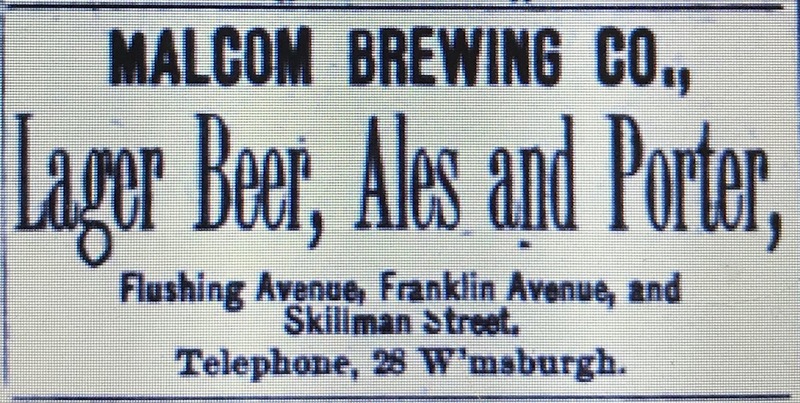 George Malcom was listed as a brewer at the Flushing/Franklin/Skillman location up through 1891. The expanded listing in the 1885 directory was typical. 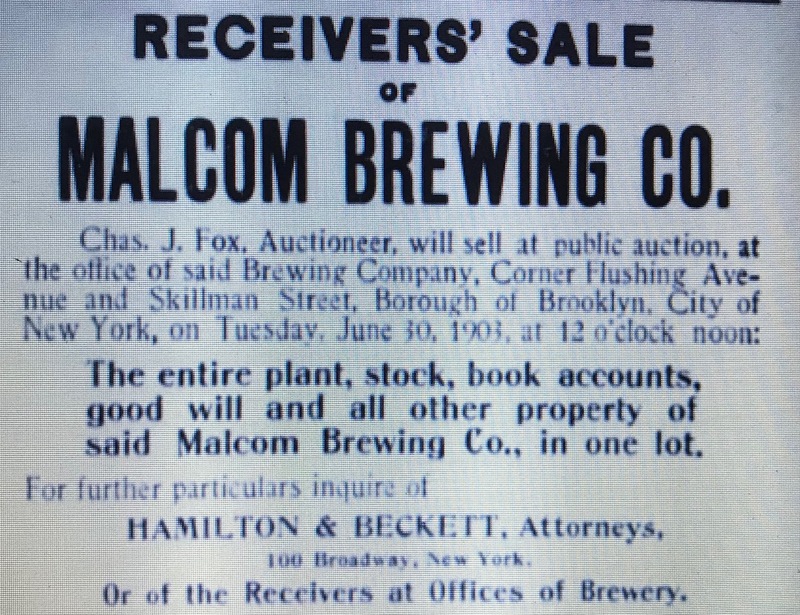 Then in 1892, the company name in the listing changed to the “Malcom Brewing Company. Some months ago the brewing company applied for a voluntary dissolution, on the ground of insolvency, and the referee reports that the company is undoubtedly insolvent and was insolvent on July 28 last. …the capital stock of the company is $400,000 and there is outstanding of this sum $359,000. The stock was issued to George Malcom for the plant and the present holders secured their holdings from him or his assigns. A receivers’ sale that included the entire plant and property was held on June 30, 1903. Notices for the sale listed the property holdings at that time which included brewery, malt house and stables. The description of the brewery machinery provides an idea of the size of the operation at the time. ALL BREWERY MACHINRY AND EQUIPMENT, sufficient for an annual output of about 150,000 barrels of ale and lager, including ice plant of about 40 tons capacity daily, and Milwaukee grain drying machine; malt house machinery of about 600 bushels capacity daily; also bottling machinery and office furniture.. 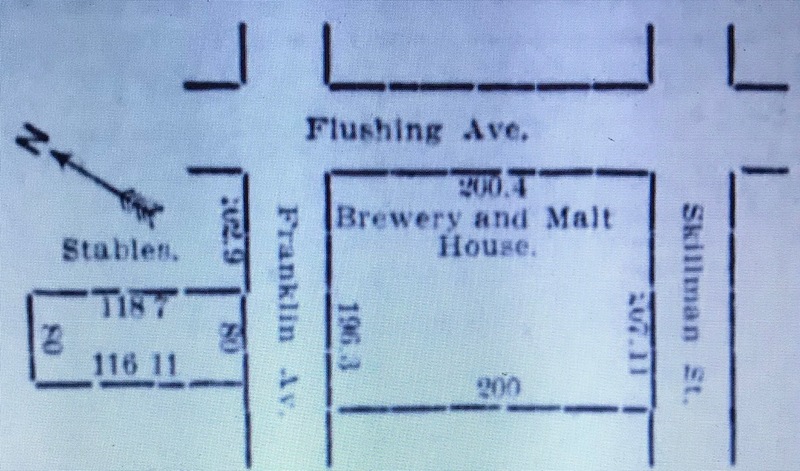 The brewery was purchased by Claus (Charles) Doscher who, within 30 days of the sale, organized the Franklin Brewing Company. His brother and his sons were the officers, directors and holders of all the issued stock. The incorporation was announced in the July 31, 1903 issue of the Brooklyn Daily Eagle. 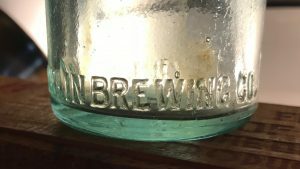 Articles incorporating the Franklin Brewing Company of Brooklyn have been filed with the Secretary of State. The capital stock is placed at $500,000 and the directors for the first year are Charles Doscher and Henry F. Cochrane of Brooklyn and Henry Doscher, John Doscher and Herman Doscher of New York City. Claus Doscher passed away in 1910. Afterwards there were many failed attempts by the family to sell the company which was in financial trouble. The brewery eventually shut down in 1917 or 1918. According to an August 11, 1918 story in the Brooklyn Daily Eagle the brewery building had been sold and was being converted to a cold and dry storage plant around that time. The former building of the Franklin Brewing Company, at Flushing and Franklin Avenues, is being converted into a cold and dry storage plant. Food merchants of the Walkabout Market for whom the lack of storage space for their products is a serious problem, will benefit materially by the new plant. The building which faces on Flushing Avenue and has a frontage of 200 feet, extends to Skillman Street. The wings of the structure are five stories high and the interior eight. The plant is already partially equipped and insulated and is ideally adapted for storage purposes. It will afford 430,000 cubic feet of cold storage space and about 620,000 cubic feet for dry storage. The building was purchased at auction on July 9 by George Dressler, president of the Wallabout Market Merchants’ Association and head of the Walabout Basin Storage Company. The plant is expected to begin operations about the first of September. 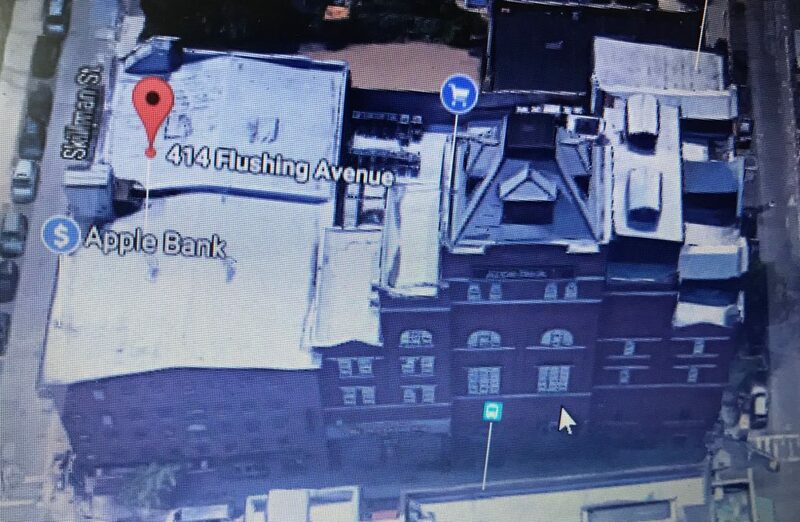 The building described in the above article is still located on Flushing Avenue. The bottle I found is an export style beer bottle with a tooled crown. It fits the 1903 to 1917 time frame of the business. Being mouth blown, it probably skews toward the earlier end.